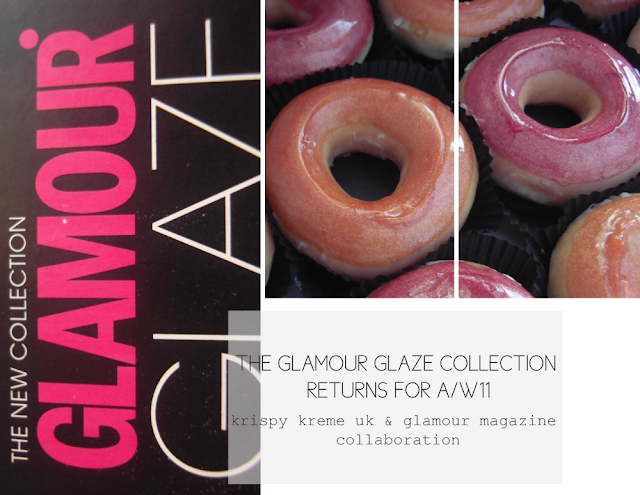 For those who are in love with fashion you'll know what's just around the corner - London Fashion Week and tying in with that yellow marked highlight in the calendar is a collaboration between Krispy Kreme and Glamour magazine. This season's collection features the trademark Strawberry Glaze doughnut, synonymous with the GLAMOUR Glaze line, accompanied by a new Orange Glaze doughnut. The Orange Glaze has been created from trend predictions of the upcoming seasons from GLAMOUR's fashion team, who noted the '70s and the bright colour influences as two key themes. I had the pleasure of receiving a box 12 box of these and besides Krispy Kreme's being delicious full stop the glazing on top of these were mouth watering. I love citrus flavours/smell as it is so the orange glaze was a dream. Availability : You can purchase yours from your nearest Krispy Kreme UK stores and in-store cabinets from the 29th August until 2nd October. 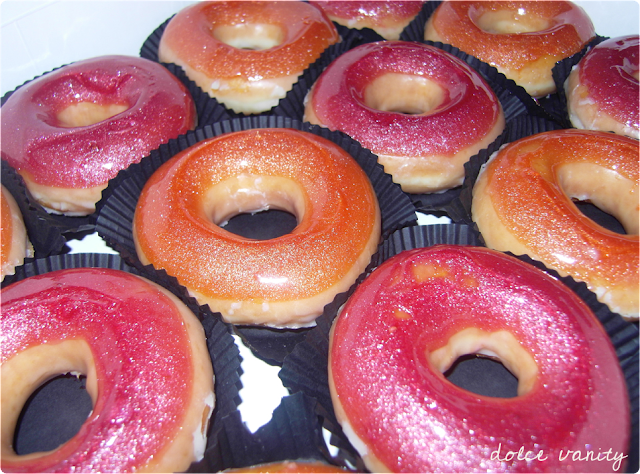 I love Krispy Kremes and these look so deelish! Gahhh @Mz. More me too. They definitely were an indulgence lol!